I am not a naturalist but I do have a natural curiosity about flora and fauna in the Lone Star State. I have more photos of yet-to-be-identified plants and flowers on my phone than I care to count. But, that’s ok! I find it relaxing to leaf through the pages of my Texas wildflowers handbook in search of answers. 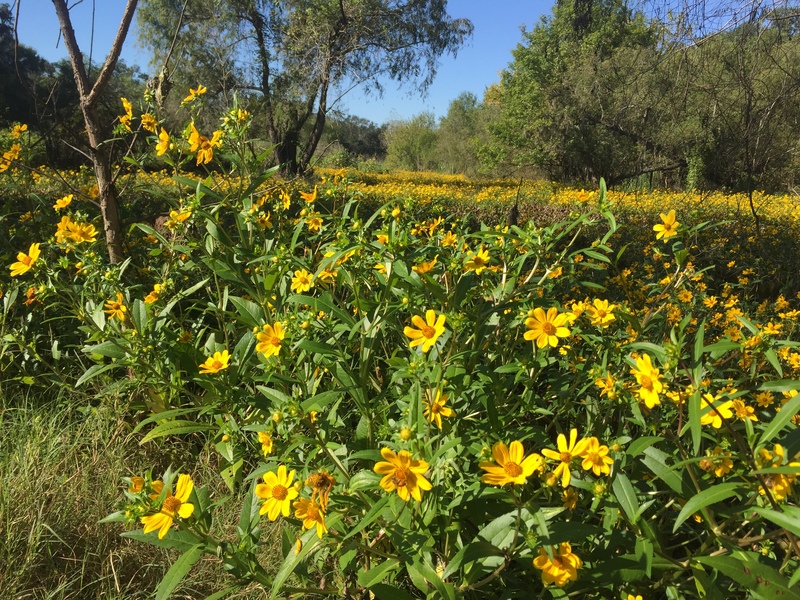 On a recent bike ride at Brazos Bend State Park, I was captivated by acres of beautiful yellow flowers growing along the edges of Elm Lake and along the trail to the spillway. These sunflowery-looking beauties were a feast for my eyes and had me reaching for my camera. Curious to learn more, I posted my pics on my iNaturalist app and asked for help. Thanks to the kindness of someone much smarter than me, I discovered that the beauties growing in biblical proportions at Brazos Bend are called bur marigold. Bur marigold are also known by a few other names, including tickseed and beggar-ticks because their bristles tend to latch on to the britches or socks of hikers. These flowers prefer low, moist areas such as ditches, marshes, and wet meadows. That explains why they were flourishing along the lake at the park. Bur marigold are also butterfly magnets. They attract a variety of butterflies, bees, and even birds. 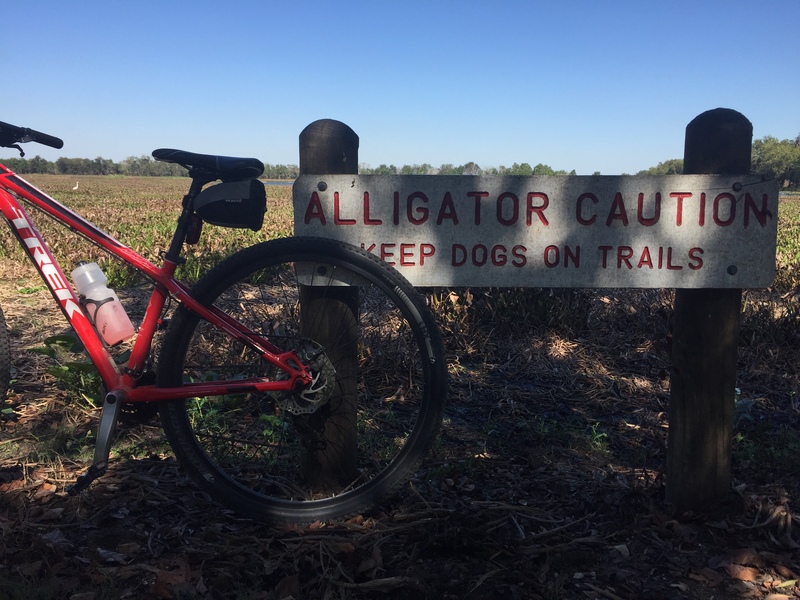 And, at least at Brazos Bend, they attract people. The photographers were out in force snapping away with their telephoto lenses. As for me, my iPhone camera served the purpose. As they say, the best camera is the one in your hand. Riding past acres of these beautiful flowers that Thoreau himself described as being full of the sun reminded me of why I love to get outdoors. Scenes of wildflowers, sounds of birds, sights of wildlife, and big oak trees with outstretched branches — it just doesn’t get much better than that. 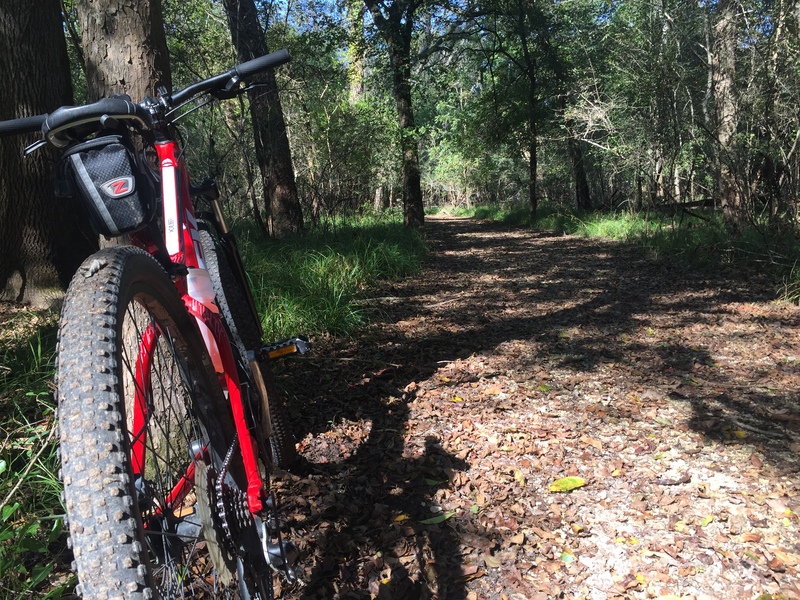 The weather in Texas is starting to get a little cooler, making it a perfect time to explore our treasure chest of state parks. Plan to get outdoors soon. Breathe in some fresh air. Feast your eyes on nature at its best. And thank God for the Lone Star State. 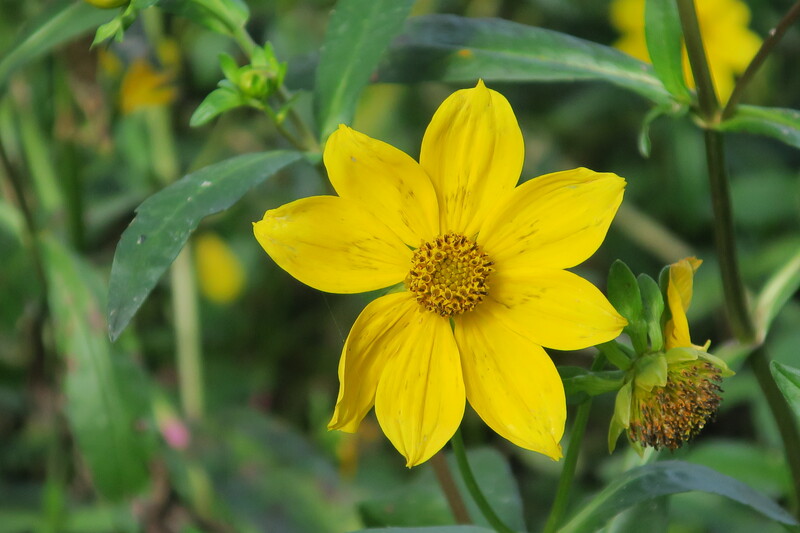 This entry was posted in Flora and Fauna, Texas State Parks and tagged Brazos Bend State Park, Bur Marigold, Texas State Parks, Tickseed. Bookmark the permalink.